Need a larger condo? This one is for you! • 2-Bedroom + Den, 2-Bathroom, with open corner balcony. Includes a parking spot. • Eat-in Kitchen with upgraded cabinets and added pantry. 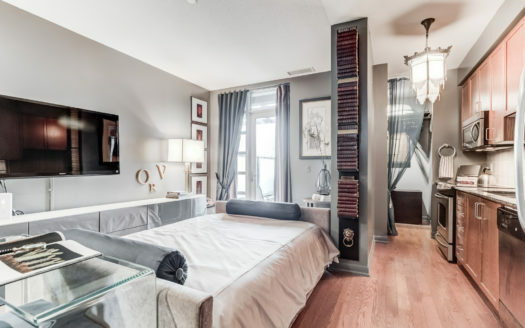 • Large Master Bedroom with walk-in and 4-piece ensuite with glass-enclosed tub and shower. • 2nd Bedroom with double mirrored closet and gorgeous Western sunset views. • Living and Dining area with dark hardwood floors and floor to ceiling windows for unobstructed views. Den could be used as office, dining area, and more! No wasted space in this condo plan! • Includes Stainless Steel appliances, Ensuite Washer/Dryer, all light fixtures and window coverings. • The 2-Bedroom + Den floorplan is extremely rare! So much space. It’s a must-see! This home is now SOLD! 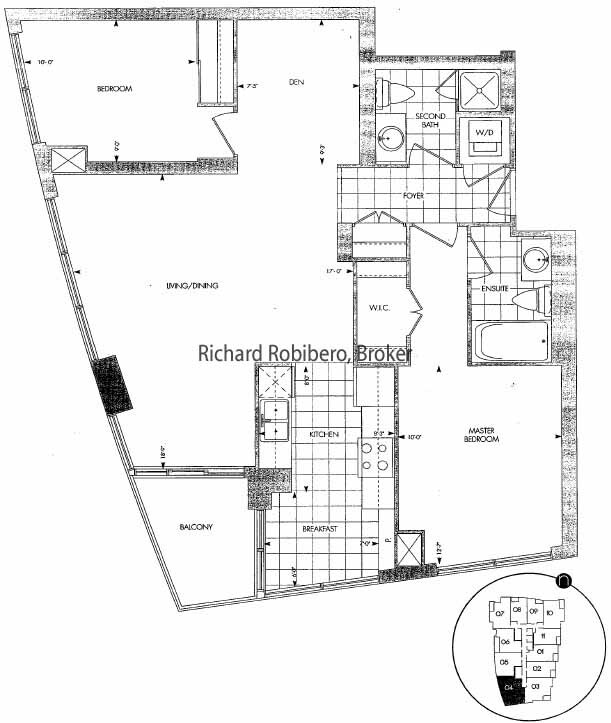 If you’re interested in the details for this property or looking to BUY or SELL your home for top dollar call Richard Robibero today at 416-277-8025 to find out how he can help you or for any other real estate questions you may have.